Join us for JOY Group PLUS Christmas Party! This gathering is for the JOY Group and the 8:30 men’s and women’s classes and the 9:30 co-ed class. You are asked to bring heavy hors d’oeuvres or dessert to share. We are collecting underwear and socks for our veterans over age 55. Come join us; we promise good food and fellowship! The children will be Santa’s helpers and will lead us in Christmas music and there will also be door prizes! 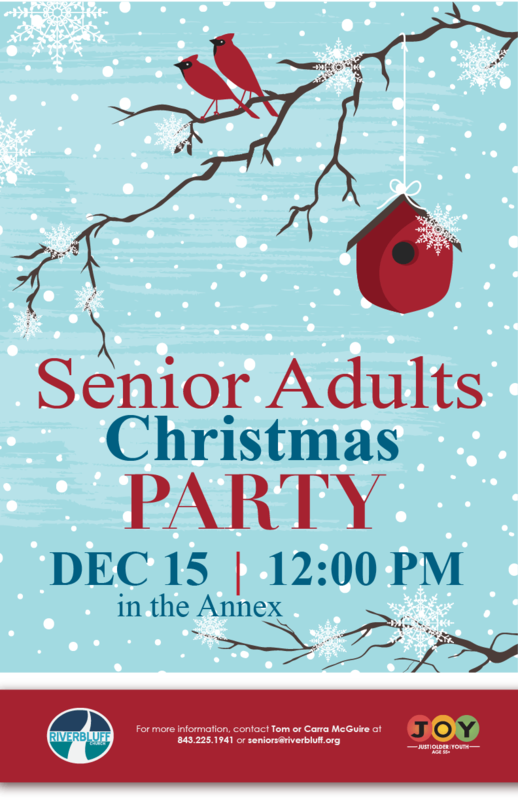 If you have questions, please contact Tom or Carra McGuire at seniors@riverbluff.org or 843.225.1941.